The evaluation focused on the assessment of learner autonomy and its development throughout the project as well as on its relationship with certain personality traits and the types of activities undertaken. In other words, the main focus of evaluation was the learner autonomy as such, rather than “hard” skills such as English, IT etc. (which were documented through the hand-in application instead). Why are we focusing on learner’s autonomy and not “hard skills”? The world is changing fast and we don’t know what kind of knowledge is going to be needed in 5, 10 or 20 years’ time. One thing that is definitely going to be needed though is the ability to learn new things effectively and autonomously – aka the learner autonomy. Having highly developed learner autonomy will help children learn anything they need, any time they need it. That is why we consider it more important to focus on learner autonomy than on “hard skills”. The evaluation was done through observation. Based on the observation of children while they were working with the Boxes, teachers filled in questionnaires designed to measure different aspects of children’s learner autonomy, of their personality and of their perception of the activity undertaken. These questionnaires were filled in on a regular basis to capture the development in time. The learner autonomy questionnaire consisted of seven subscales (the ability to set meaningful and achievable goals; to find ways to reach a goal; to identify a source of failure; to learn from one’s mistakes; to see mistakes as an opportunity for improvement; to work independently towards reaching a goal; to evaluate if a goal has been reached). 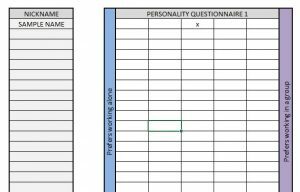 The personality questionnaire focused on four traits (inclination towards group work, spontaneity, competitiveness and preference for thinking as opposed to acting). 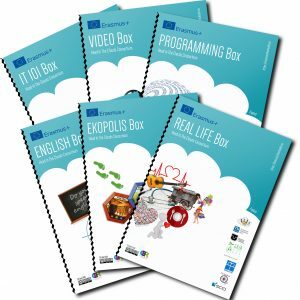 The Box-perception questionnaire focused on the evaluation of how far children enjoyed the tasks, how much they learned and how hard the tasks were for them.